From Adidas, Air Jordan, Vans, and more. 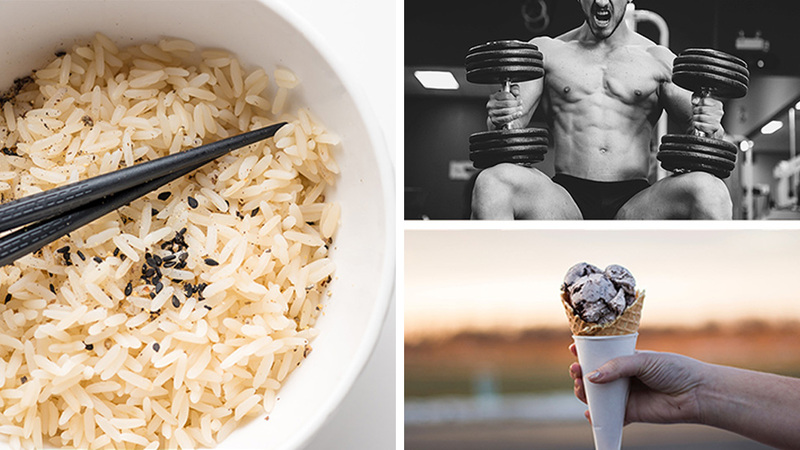 Get ready, because there's some hype this week. Jordan Brand just owned the sneaker scene this Mother's Day with both the latest edition of its ongoing collaboration with DonC (in pink, no less), and the very clean "Pure Money" Air Jordan 4s that make for the perfect summer sneaker. 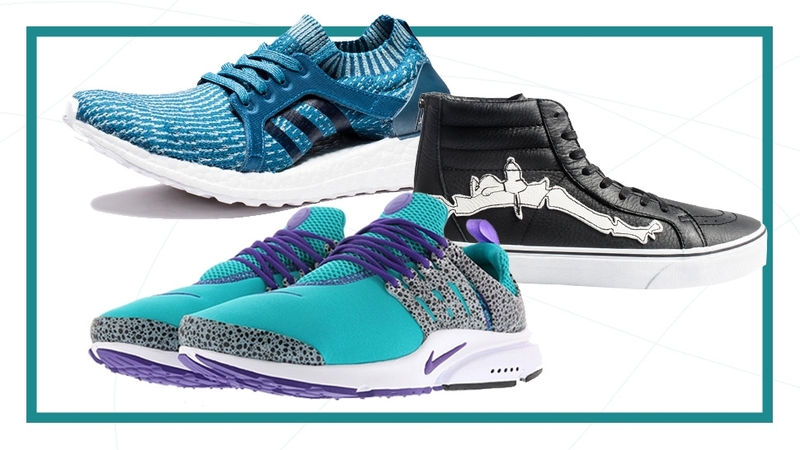 Before we get there, though, Adidas comes through with a trio of environmentally conscious Ultra Boosts, Nike drops off no fewer than eight pairs of sneakers inspired by a running classic, and two collaborations from Karhu and Vans will surprise and delight. 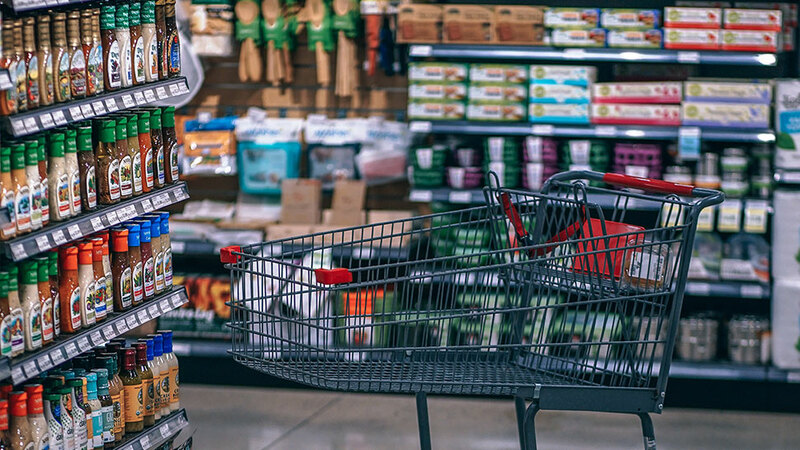 Get excited and have your credit card information ready to go. 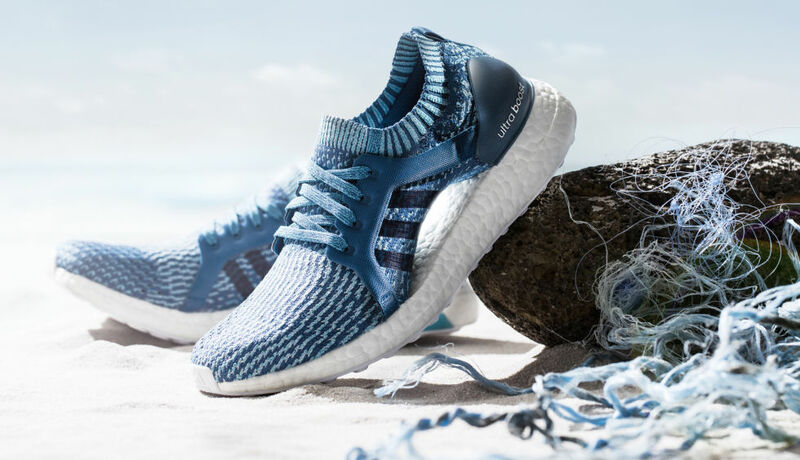 ADIDAS X PARLEY ULTRA BOOST UNCAGED "LEGEND BLUE"
Adidas continues its partnership with Parley for the Oceans this week, re-upping its commitment to sustainability by using ocean plastics for high-performance products. 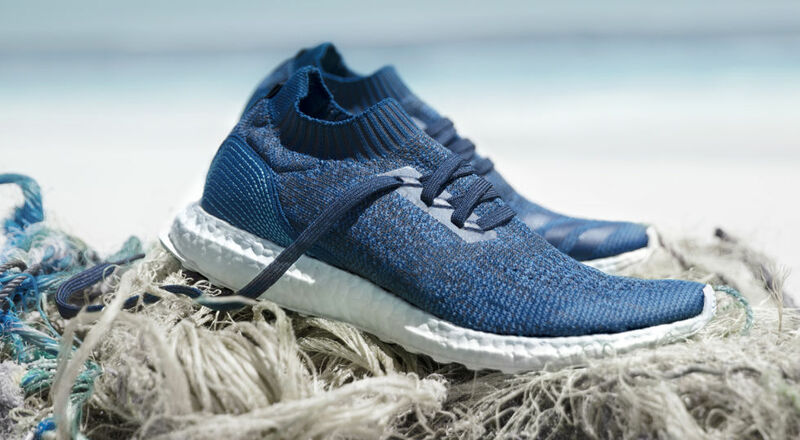 A trio of Ultra Boosts featuring Parley Ocean Plastic land this weekend, including a pair of Uncaged Ultra Boosts that features a heathered navy Primeknit upper on a white sole with the Parley blue stitched into the heel. 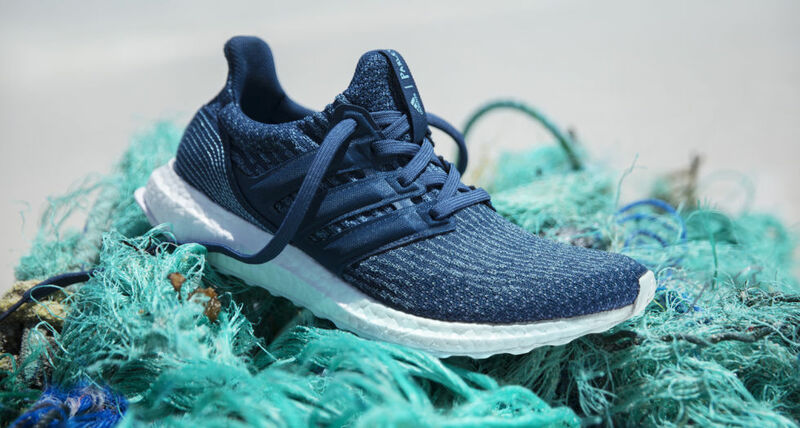 ADIDAS X PARLEY ULTRA BOOST "NIGHT NAVY"
The next sneaker in this week's Parley collection is a classic Ultra Boost replete with a full cage done up in textile instead of the traditional rubber. It's the darkest shoe of the trio in "Night Navy," getting its texture from the Primeknit upper. Like its siblings, it sits on a white Boost midsole with Parley's signature bright blue adorning the heel counter. ADIDAS X PARLEY ULTRABOOST X "CORE BLUE"
NIKE DUNK SB PRO "MULDER"
Nike's Skateboarding program turned to one of its pros, Richard Mulder, for this bright pair of shoes. 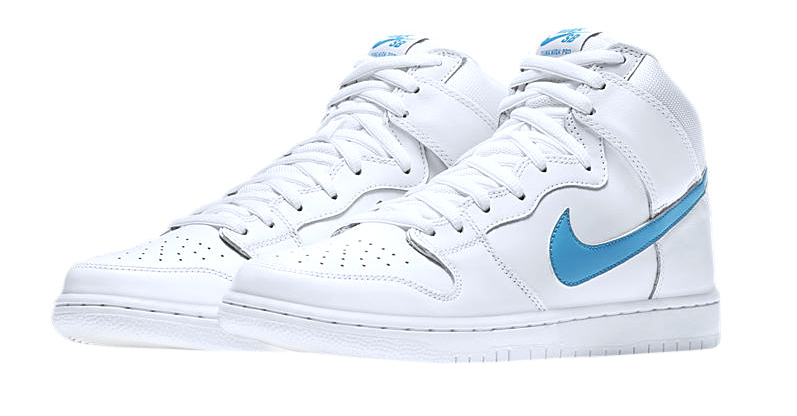 When the style originally released in 2002, Mulder said that he just wanted to emulate what he remembered as his first pair of Nikes. Now you get a second chance at pulling out a piece of Mulder's memory to wear on your feet. 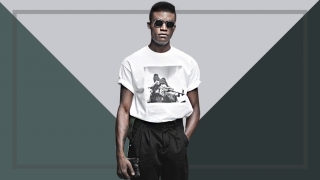 And if that's not the kind of meaning you're looking for, rest assured that the shoes are dope on their own. Nike's Air Safari hit the market in 1987 as a new chapter in the young Air line developed by Tinker Hatfield. 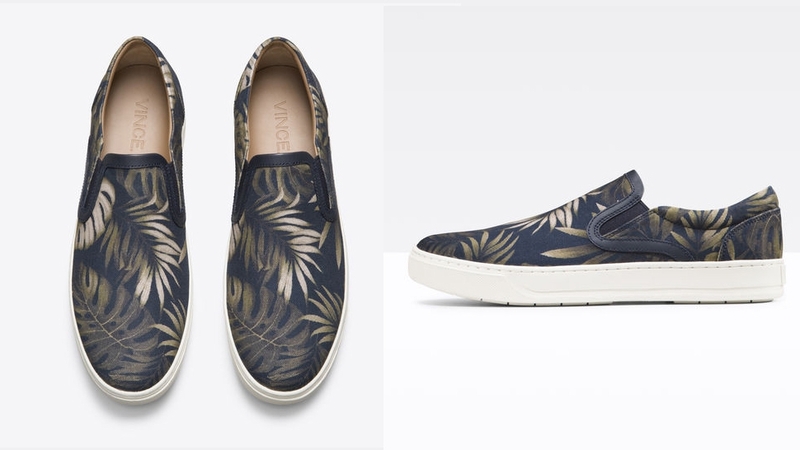 The shoe is a classic to this day, but the most lasting impact the sneaker had comes from the unique texture on the leather that Hatfield used, now dubbed the "Safari" print. This week Nike brings that texture to newer running shoes including four pairs of the Air Presto. There's a yellow version that uses the same color combo as the original Air Safari, a duotone black-and-white pair with hits of red, and two more colorful options. If you want a bolder take on Nike's Safari print, these four Sock Darts have you covered. The print comes through on the woven upper with a translucent cage, white midsole, and hits of black from the toe to the heel. The placement of the print is a much louder statement on these shoes than the Prestos, but they'll definitely find fans. AIR JORDAN X DON C 2 "ARCTIC ORANGE"
This writer is totally biased because Don C's collaborative Air Jordan collection is my favorite release from the past few years, so another chapter is more than welcome. The only problem? I'm not going to get these—and neither are you. 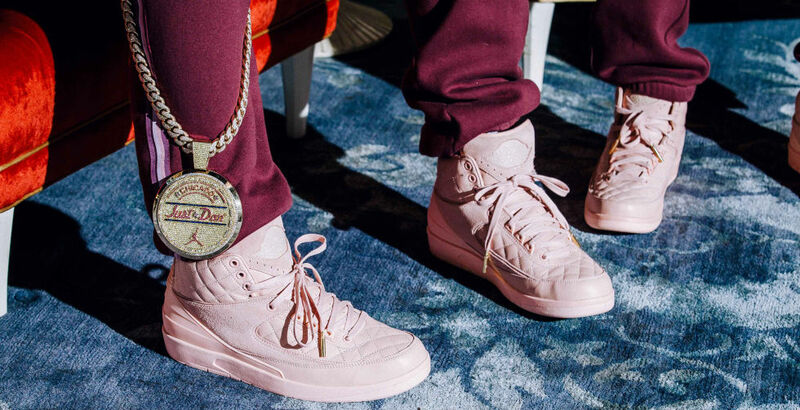 Not only are the pink suede and quilted leather luxe Air Jordan 2s going to sell out as quick as lightning, they're only making them in big kids' sizing. Which means, unless you're a size 7 (maybe 2 percent of you reading this), these are too small. There will be pairs in larger sizes, but not many. Don C did this because his family hasn't been able to get the other pairs he created with Jordan. This is for them. We use the word "clean" to describe sneakers all the time. 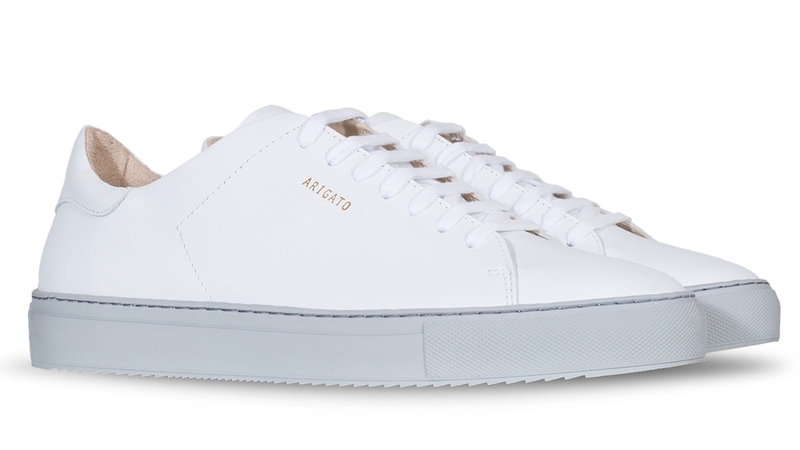 It's shorthand to describe a sneaker that's sophisticated, wearable, and transcends trends. But few sneakers fit that description quite as well as Jordan's "Pure" collection that started being known as "Pure Money" around 2005, the last time the shoes released. 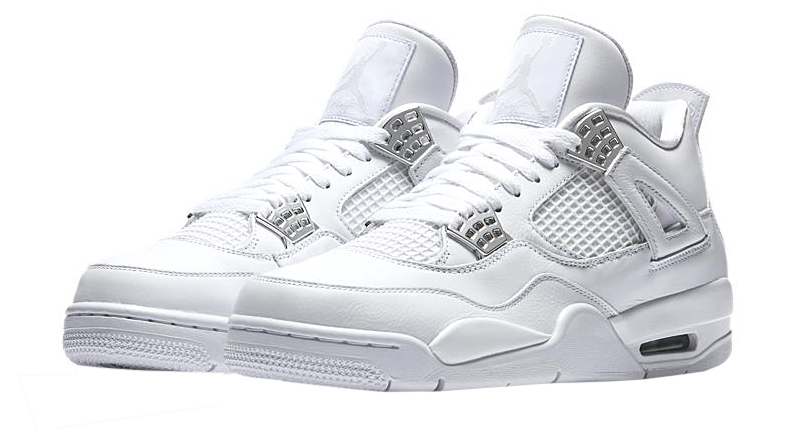 These Jordan 4s are almost entirely white except for some silver details, meaning you can wear them just about anywhere with just about anything. Blends' latest submission in its ongoing "Bones" collaboration with Vans features somone no one was expecting: Snoopy. He's lying in repose on the bone stripe along the lateral side of the shoe, sewn right on as a part of the leather. And the Peanuts' best pooch isn't alone: Woodstock can be found by the eagle eyed on the medial side of the shoe. Otherwise the Sk8-His are done up entirely in tumbled black leather with the classic white vulcanized rubber sole. 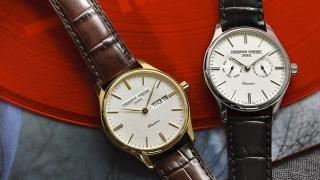 These are unlike anything we've seen, and are worth picking up even if just for the novelty. 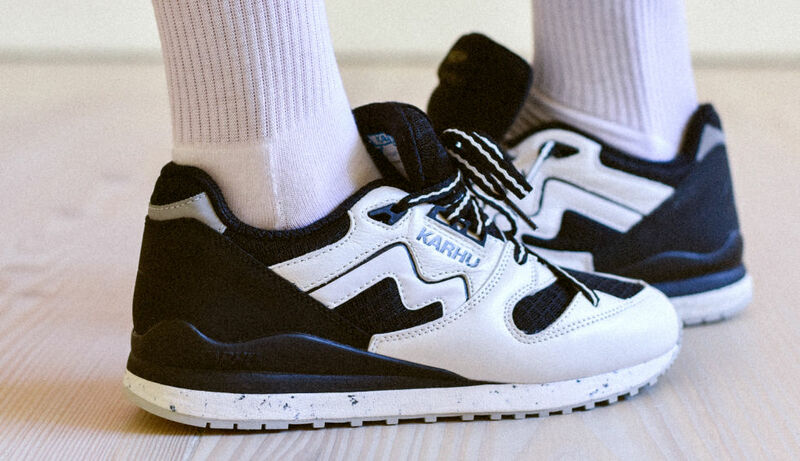 KARHU X GOOD KICKS SYNCHRON CLASSIC "PAAVO NURMI"
When the team at Finnish sneaker brand Karhu teamed up with their countrymen at sneaker boutique Good Kicks, they knew they had to be inspired by other exceptional Finns. So they turned to Paavo Johannes Nurmi, one of the most successful athletes in Olympic history who set 22 official records and earned 12 medals: the most ever received by a track and field athlete. When Nurmi was racing, it was standard for runners to wear all-black track shoes, but Nurmi wore white Karhus. The black-and-white colorway on this Synchron Classic pays homage to that juxtaposition.